A luxury coach has been arranged to take Edinburgh plot holders and partners/spouses to the famous Dundee Show. On this occasion the excursion is open to adults only. You will also have the opportunity to visit the National Vegetable Society Scottish Championships in the Exhibition Marquee. The size and quality of vegetables grown by NVS enthusiasts is admirable and the event is definitely worth visiting. Two for one! The coach will leave Edinburgh at pick-up points to be arranged from around 10am and return from the Show at around 4pm. FEDAGA is subsidising the cost of travel to the Show. The price of the return journey has been reduced to £6 per person. Tickets, which are non refundable, must be purchased in advance. Details of the payment process will be forwarded to successful applicants by return. Ticket applications can be made from Monday 4 June. Please send an e-mail with your name, number of tickets required and allotment site to dundee@fedaga.org.uk. First come, first served: don’t delay. Tickets are available from Monday 4 June at www.dundeebox.co.uk Before 28th August a discounted price applies: Adult: £10, Concession for Pensioners: £9. Tickets purchased on the day at Festival Gate will cost: Adult: £12, Concession: £11. If you are in need of seed potatoes and/or onion sets then come along to the Fedaga Shop at Inverleith Allotments – use entrance on East Fettes Avenue. If you’d like to take part in this year’s club please email sasatrials@fedaga.org.uk before 18th March with your name and site. You can help grow on commercially unavailable varieties, by growing three tubers from around April. All you have to do is grow them and report back via a short online questionnaire on how you got on and what they tasted like. We’ve had a few little creative meet-ups now where we’ve done some sketching, hand felting, printing and more! We hope to make this a regular thing again, from the end of March, meeting every last Sunday in the month. Come along and join in at the Cabin, from 11am, just come along with whatever you would like to do. We share ideas, and have some fun, over a nice cuppa! Do you have any apples you’d like to press to make into juice and / or cider? We will have a FEDAGA apple press on site by cabin this weekend for anyone to have a go. If enough people we hope to make this a regular feature each autumn. 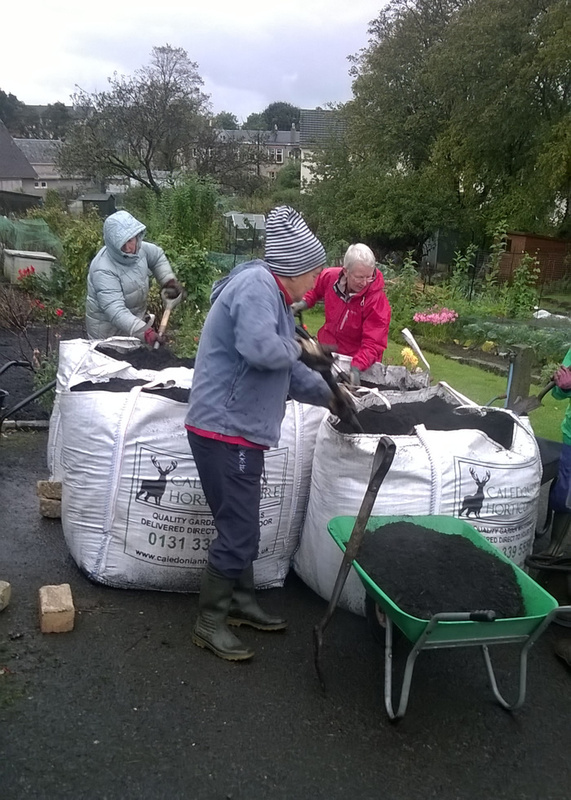 To order your half tonne (builders) bag, for delivery end of Oct/early Nov, please email Anne Sofie Laegran. Each bag costs £25. 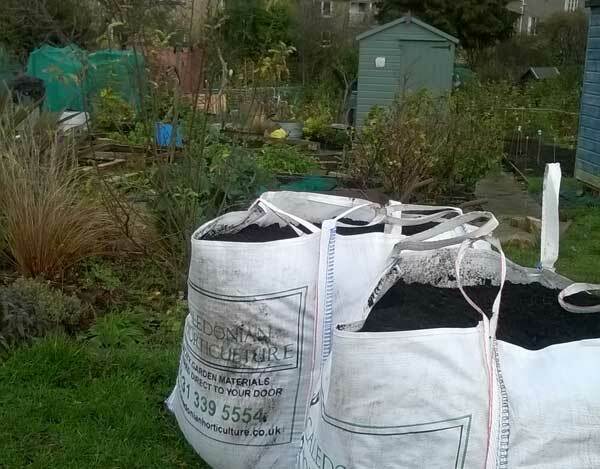 Compost supplied by Caledonian Horticulture. A small number of plotholders are starting up an informal group to meet up and get creative. Come along and sketch, write, photograph, knit, or do whatever creative form you would like. They plan to meet monthly through the winter. Come along to find out more – first one Sun 29th Oct at 11am in the cabin. 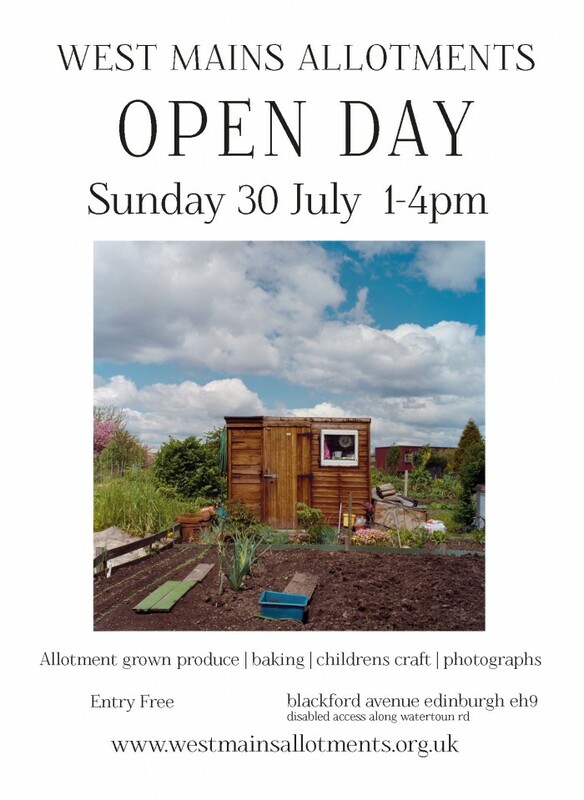 Our site Open Day is coming soon – Sunday 30th July, 1-4pm. We will have a great collection of produce for sale, tea and homemade baking. We’ll also be showing the photographs from 20 years ago (see below posting). Hope you can make it along. All welcome. Free entry. Recognise anyone? Some wonderful pictures from Roger Spooner, taken around West Mains in 1996. Click on images to view all. The FEDAGA Shop in Inverleith Allotments will be open to sell to members the last remaining seed potatoes, onion sets and shallots. Even bigger discounts: Potatoes £2 a bag; onions and shallots £1 for 500g. 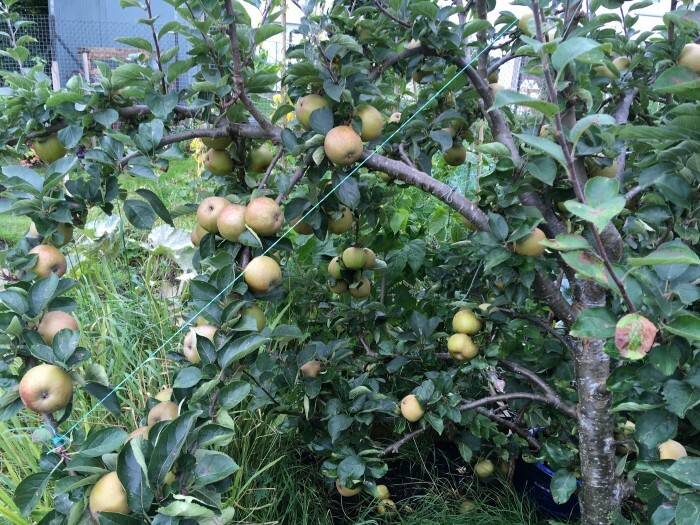 Varieties available: Potatoes: Rooster, Maris Piper, Charlotte, Kestrel, Vivaldi, Wilja, Gemson, Duke of York, Peatland Javelin, Colleen, Catriona. 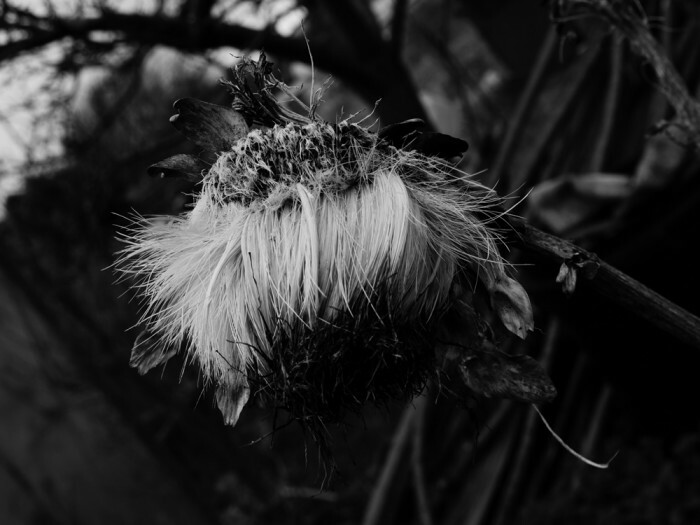 Onions: Karmen, Stuttgart. Shallots: Red Sun. Some interesting potato days coming up. Sunday 26th Feb, Bridgend Allotments, from 11am. And at Border Organic Gardeners Potato Day and Green Fair at Kelso, Springwood Park on 5th March, 11am to 3pm. Follow the link here to see more about the day. Plotholders welcome to help themselves, or to leave things for others, try to remember to label. Sale held by Autism Initiatives. Click here to see the details. 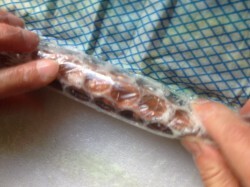 This year the supplier has changed to Kings, who have assured they can deliver all varieties ordered. Please see the full list of varieties here. To order - please email rosynaylor@gmail.com with the varieties you would like and leave the money in the cabin. Deadline for orders is 27th October. 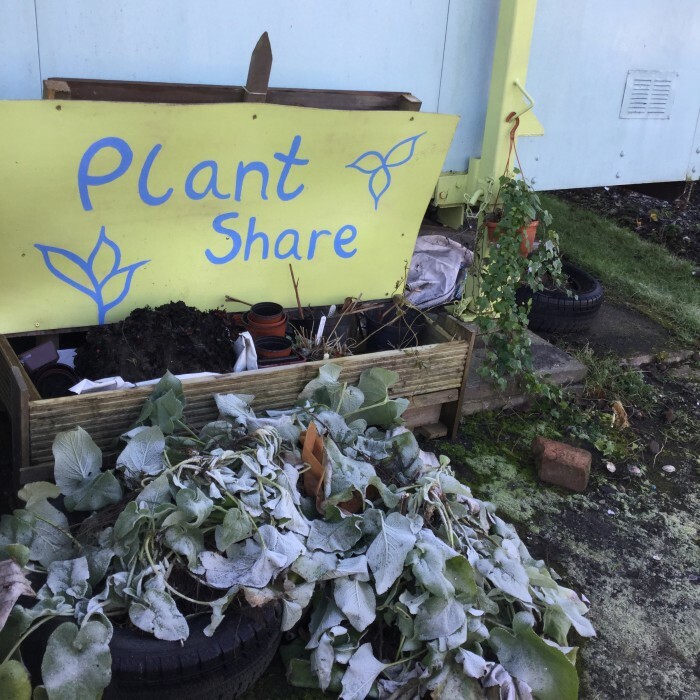 The City of Edinburgh Council is in the process of revising its current Allotment Strategy “Cultivating Communities – A Growing Challenge” and would like to gather public feedback on the draft to date. 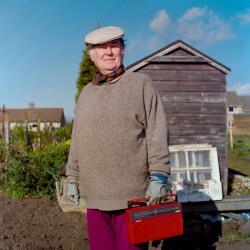 The new strategy considers the unprecedented demand for allotments and focuses on a strategic approach in order to tackle the current short fall of sites. It aims to ensure that the benefits of allotment gardening are properly recognised and available to all and that the allotment requirements contained within the new Community Empowerment Act are met. The Council would value public feedback on this draft and hope that you take five minutes to complete the survey. Use this link here to complete the online survey. A day to share information and explore possibilities to access and secure land for sustainable community growing. This day is for aspiring community growers looking to find a site, existing groups looking to expand activity, landowners who want to engage with the local community and networks that support local growers. 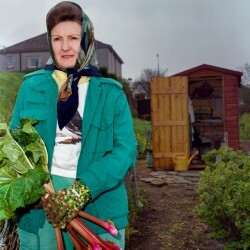 In line with Scotland’s new Community Empowerment Act, this event aims to enable more communities to use land for the many benefits of community growing. Further information including booking details here. You can download the papers at the Fedega.org.uk website from their news page. 7.15pm, Southside Community Centre, 117 Nicolson Street, EH8 9ER. 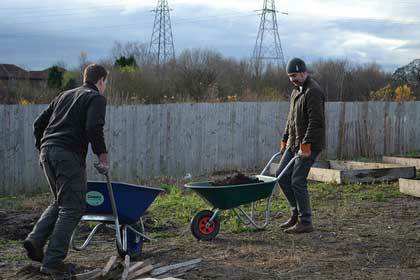 We’ll be ordering again some bulk compost this autumn. We will need orders and payments in by 21st October. Please contact Anne Sofie Laegran to place an order. Bags cost the same as last year, £25, for half a ton. We will group together orders received with deliveries planned for end Oct/early Nov.
We’ll also be having ‘Glut-Busters’ – a session about your favourite recipes, hot soup, bread and cheese, and free compost. Full details via our Events page.